Product #17448 | SKU W45650IRND9 | 0.0 (no ratings yet) Thanks for your rating! 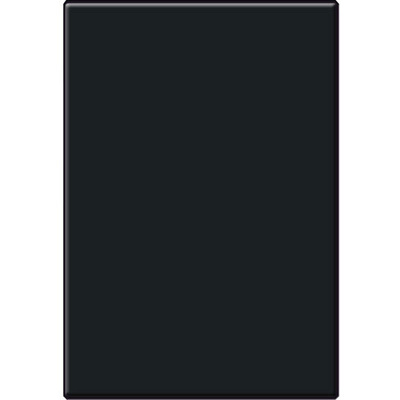 The Tiffen 4 x 5.65" Full Spectrum IRND 0.9 Filter is a combination of both an infrared control filter and a 0.9 neutral density filter. An IRND is ideal for HD cameras, which have greater low-light sensitivity and, subsequently, an increased susceptibility to IR contamination. When using a standard neutral density filter to counter the increased light sensitivity afforded by the HD sensor, the effects of infrared pollution become more apparent. This filter combines an ND filter with a comparable IR control filter to eliminate the spill of infrared light reaching the sensor while still maintaining the extra exposure benefits of a neutral density filter. This filter is constructed from Water White glass and is made using ColorCore technology, a process that involves laminating the filter substrate between 2 pieces of optical glass and grinding flat to a tolerance of 1/10,000th of an inch. This filter measures 101.6 x 143.5mm. Infrared control filter helps to block infrared pollution from affecting the colour fidelity of imagery; this enables a wider colour gamut and truer colours, especially noticeable in the darker regions of the image. 0.9 neutral density filter provides a 3 stop exposure reduction.